While sporting events such as the Olympic Games are massive in scope and have an incredible amount of financial, political and social support behind them, they include a vast array of sporting events that most are considered mundane by now. These types of sports are heavily regulated in the way they are staged and how the contestants should participate. In a sense these are considered to be more traditional types of sports as they mainly highlight physical attributes of contestants, be it strength, agility, speed, coordination for example, and each of these can be in different environments. However despite the diversity of these types of events, they all underline the same characteristic, which is the pinnacle of what a human body can achieve. With the passing of time, more and more types of competitions have been labeled as sports, and while this is normal, there is one aspect that is rather intriguing. A number of sports introduced do not have to do with the human body at all. 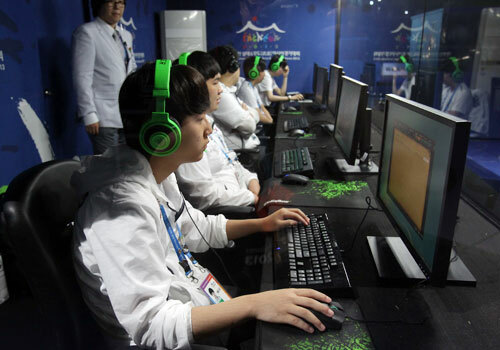 Sports such as electronic sports, in which contestants engage in video game competition that test their hand eye coordination skills, or their aptitude at a certain game. These types of competitions are getting more and more following with each event, as they cater to newer generations. Then there are sporting events that employ games which rely on the ability of participants to apply strategies, an example of this being the traditional chess. There is a clear expansion of the concept of sports as a whole, stepping away from what is considered the traditional sport, incorporating new diverse elements within its definition. However sports of the mind are not the only new types of competitions included, there are other types of sports that are dangerous and little regulated, even though there are competitions around them and they are called extreme sports. These type of sports like the traditional ones have not escaped the profitable business of sports betting, as the very same elements that make them stand up as alternative sports, also makes them interesting to bet on since they provide interesting odds.